Krishna Janmashtami quotes / Krishna Janmashtami wishes: Get latest most inspiring Janmashtami quotes and Janmashtami wishes in Hindi & English. Krishna Janmashtami is also known with different names like Gokulashtami, Sri Krishna Jayanti, Saatam Aatham, Janmashtami, Krishnashtami, Sree Jayanthi. 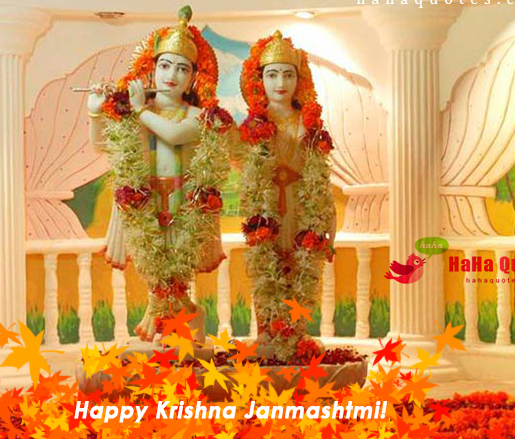 Krishna Janmashtami is the birth celebration of lord Shree Krishna who is the eighth avatar of Vishnu. 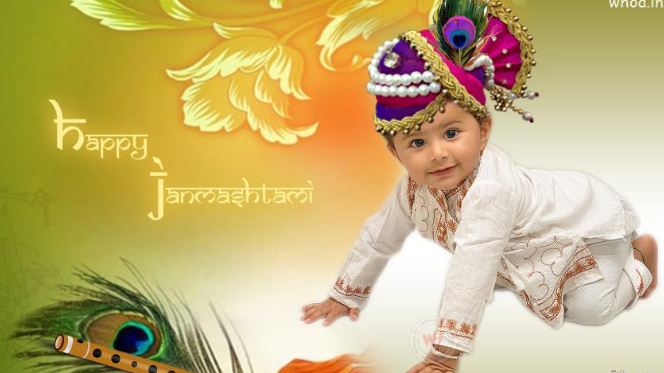 Here you can get great collection of Happy Janmashtami quotes, Happy Janmashtami wishes. Krishna Janmashtami Festival is celebrated on the eighth day which is named as Ashtami of dark fortnight i.e Krishna paksha in the month of Bhadrapad which falls on August-September of Hindu calendar. Ashtami means eight. Rasa Lila, also known as Raas Leela. Rasa dance is a part of Krishna story. Rasa Lila is a special attraction for Mathura and Vrindavan regions and also regions which follow Vaishnavism in Manipur. Here are the best Happy Janmashtami quotes, a great way to wish your friends and family on this beautiful festival day. “Happy Janmashtami, May Lord Krishna showers all his blessings on you. May you get lots of happiness in life”. “May you find all the delights of life? May your all dreams come true? My best wishes will always be with you”. “I wish you Happy Janmashtami and I pray to God for your prosperous life”. I wish to all of you a very happy krishna janmashtami in which i pray that lord krishna came to your home and celebrate with you a very happy and prosperous life. May you love your life and step a head for your bright future. for some discussion and for some enjoyment with each other. May Lord Krishna steal all your tensions and worries on this Janmashtami and give you all the love, peace and happiness. English language is understood by youth all over the country. Hence we have Janmashtami Wishes in English. In a silimar manner, Hindi is easily spoken and understand by all over Indian. To be easily understood we are providing with Janmashtami Wishes in Hindi. Dont forget to share these Happy Janmashtami Wishes in Hindi with your family members and get the blessings oF Lord shri krishna on this krishnashtami festival. Ek Radha Ek Meera, Dono ne shyam ko chaaha, ab shyaam pe hai sara bhaar, kis ki preet kare sweekar. माखन का कटोरा मिश्री का थाल, मिटटी की खुशबु बारिश की फुहार, राधा की उम्मीदें कन्हैया का प्यार, मुबारक हो जन्माष्टमी का त्यौहार! May Lord Krishna bring happiness in ur life and hatred away from ur life. 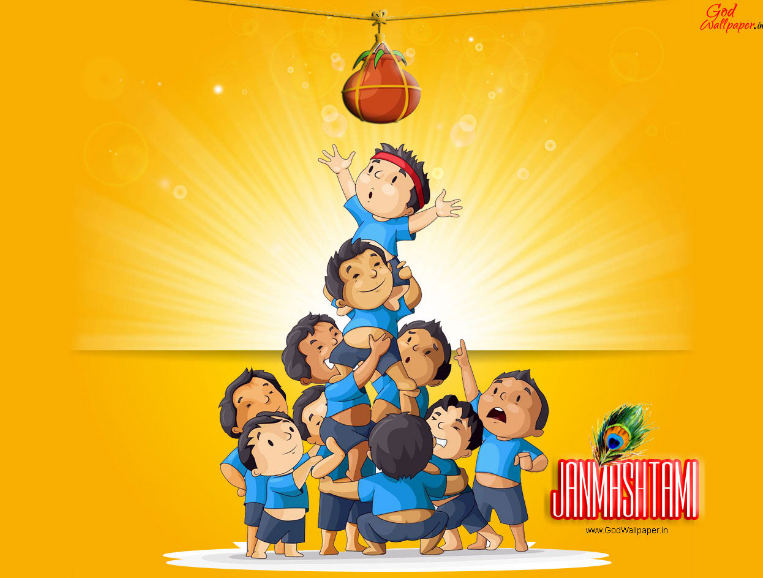 Enjoy Janmashtami with heart full of love. Happy Janmashtami greetings. With the greetings of Janmashtami. 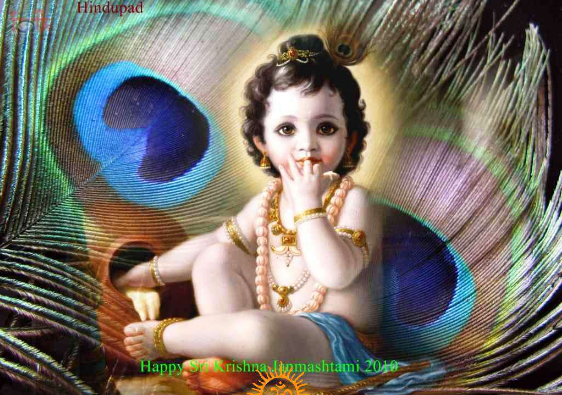 Wish you all a very happy Shri Krishna Janmashtami in advance. I request you all to please pray for me for my good health and to settle abroad for my post graduation and doing well in my education and for the society as a whole this Janmashtami. I will be grateful to you all. Thanks you sweethearts.